This is a wireless desktop switch. It can be used to turn on / off or restart computer within 20m away. With it, you can protect privacy, protect company material and prevent children playing computer game. Please ensure your computer has PCIe slot. Wireless desktop switch, portable and convenient, protecting your privacy. Effectively prevent children from computer playing, no controller, no game addiction. 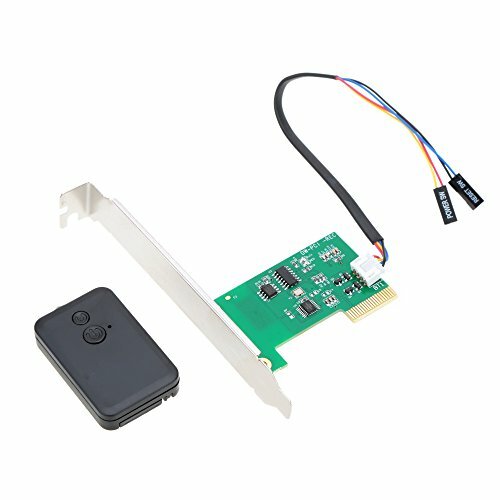 Turn on / off or restart computer by wireless control, preventing company materials missing. 2.4G wall-through wireless control, turning on / off computer from 20m away. If you have any questions about this product by KKmoon, contact us by completing and submitting the form below. If you are looking for a specif part number, please include it with your message.